Is ACT effective for Chronic Pain? 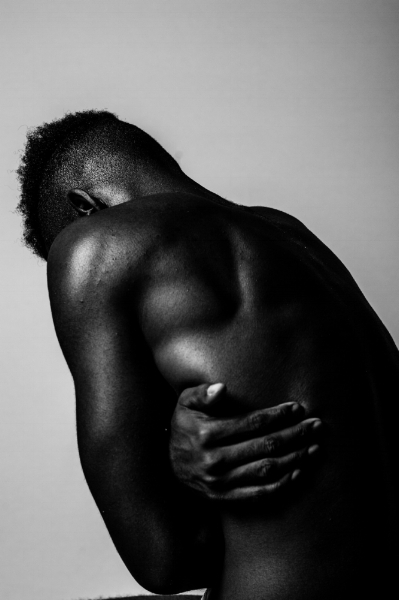 According to recent statistics, more than 100 million Americans are currently living with chronic pain. While pain is the body's normal reaction to an injury or illness, when your body heals, the pain generally stops. For many people, that pain continues long after the cause is gone - resulting in chronic pain syndrome (CPS). With an increasing emphasis on nonpharmacologic solutions, research reveals that a new form of cognitive behavioral therapy can be an effective treatment modality. In an effort to improve the overall functioning and well-being of individuals with chronic pain, researchers from King's College London sought to examine the benefits of a specific form of CBT known as 'Acceptance and Commitment Therapy' or ACT. In essence, ACT is a mix of a cognitive therapy and a mindfulness-based intervention. Mindfulness is a well studied technique that has proven effective in reducing pain, disability, and fatigue. ACT focuses on encouraging individuals to establish and act upon meaningful goals while simultaneously maintaining awareness and acceptance of emotions. Essentially, the goal is to help the patient to gain an understanding of self and develop a perspective where they are not defined or harmed by their own thoughts and feelings. The King's College study involved 412 individuals and was first published in the Journal of Pain. Overall results revealed substantial improvements after treatment: Nearly 68% of the participants showed marked improvement in pain-related interference, work and social function, and symptoms of depression. These improvements were further confirmed at a nine month follow-up. For many, the stress and depression that results from chronic pain can become paralyzing and can even significantly worsen and prolong pain. That increased pain can, in turn, cause an increase in stress and depression - creating a cycle of pain and depression that can be extremely difficult to overcome. Accordingly, a growing volume of research emphasizes the importance of including ACT in combination with traditional pain rehabilitation dynamics. The reason? Addressing the issue on deeper cognitive level seems to show promise. The efficacy of ACT is based on the concept of psychological flexibility. A co-author of the study, Professor Lance M. McCracken explains, "psychological flexibility is defined as the capacity to persist or to change behavior in a way that includes conscious and open contact with thoughts and feelings, appreciates what the situation affords, and serves one's goals and values." Basically psychological flexibility is about being able to deal with reality as it is, not as we wish it to be. "Greater psychological flexibility is associated with less pain-related anxiety and avoidance, less depression, less physical and psycho-social disability, and other measures of patient function," McCracken says. The primary objective of ACT is to reduce the effect of pain on daily life function by helping the individual to be more aware of other important aspect of their lives - in other words, the emphasis is on 'values'. Kevin E. Vowles, PhD, associate professor at the University of New Mexico says, “ACT hypothesizes that if pain cannot be eliminated, perhaps engagement in valued activities can be increased." Mindfulness practices like ACT are recognized for effecting positive changes in the brain. Rewiring brain patterns and increasing volume in certain brain regions is linked to improvement in overall well-being and decreased symptoms of fear, anxiety and depression. While traditional CBT has been a predominant treatment approach for chronic pain for many years, this new focus on acceptance and mindfulness in addition to the cognitive skills is a promising path towards helping those with chronic pain to reduce suffering and improve overall life function. Older PostWant Better Mental Health? Socialize.